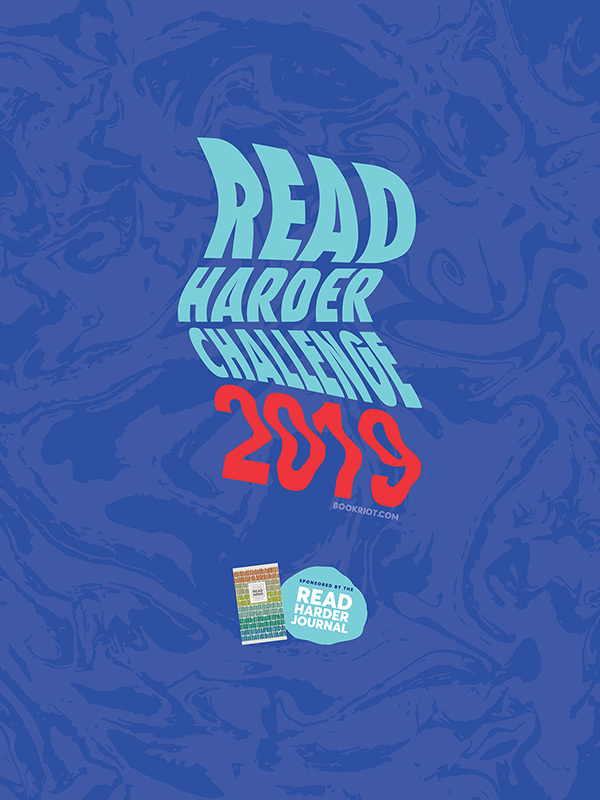 This week I'm spotlighting my next read as a part of Book Riot's 2017 Read Harder Challenge which tasks participants to read a book published between 1900 and 1950. My choice is The Three Taps (Miles Bredon #1) by Ronald A. Knox. I've picked up quite a few older mystery books pretty recently at antique shops, yard sales, and thrift stores. and this story from 1927 in particular stands out to me. 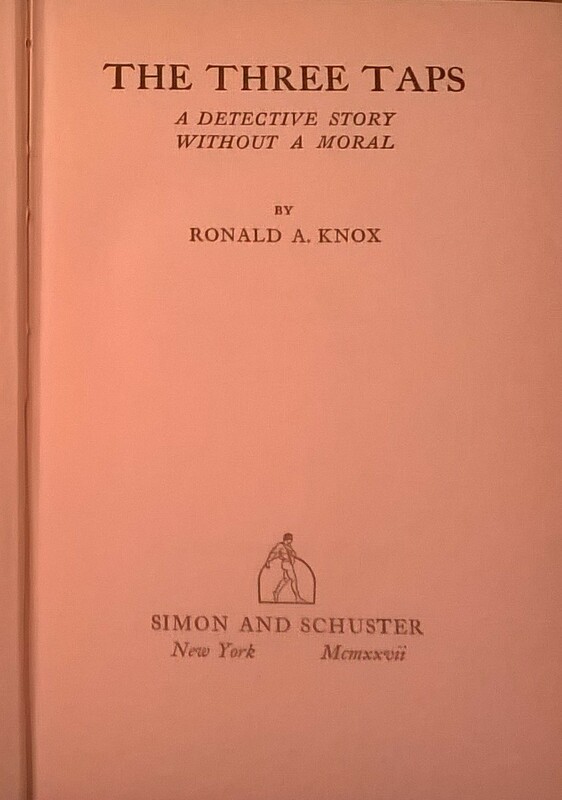 My copy doesn't have a dust jacket, but it after flipping through it I noticed that the subtitle is "A Detective Story Without A Moral" - that sounds right up my alley. Plus, I didn't realize right away that the "taps" are referring to gas jets from old-fashioned gas lights right away - so that plus seeing what the dust jacket looked like really upped my interest. This twisting mystery follows an insurance investigator, Miles Bredon, who goes to a small town to investigate a rich man's death. If it's suicide like he suspects, the company won't have to pay on his large policy, but if it's murder like the lead police detective thinks, the company will have to make a huge payout. Can I help it if I'm having visions of Double Indemnity meets the old time radio show Yours Truly, Johnny Dollar (10 points to Gryffindor if you've ever listened to this show before)! The principles of insurance, they tell us, were not hidden from our Anglo-Saxon forefathers. How anybody had the enterprise in those rough-and-tumble days to guarantee a client against "fire, water, robbery or other calamity" remains a problem for the historian; the more so that it appears that mathematical calculations were first applie to the business by the eminent John de Witt. "Well," she asked, "and what do you think make of Mr. Brinkman?" "I think he's a bit deep. I think he knows just a little more about all this than he says. However, I let him talk,m and did my best to make him think I was a fool." "That's just what I've been doing with Mr. Pulteney. At least, I've been playing the ingénue. I thought I was going to get him to call me "My dear young lady' - I love that; he very nearly did once or twice." "Did you find him deep?" "Not in that way. Miles, I forbid you to suspect Mr. Pulteney; he's my favorite man." 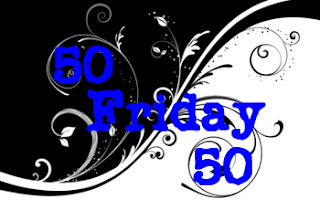 This week I'm also taking part in a brand new linkup called 50/50 Friday, which is hosted by Carrie @ The Butterfly Reader and Laura @ Blue Eye Books. Every week they'll have a new topic featuring two sides of the same coin - this week the topic is Best/ Worst Book You Read In March. Of the thirteen books that I've read (so far) this month four of them have actually been five star reads! 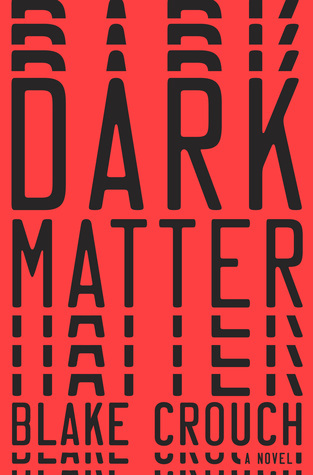 Dark Matter by Blake Crouch - I loved all the multiverse, what if scenarios! I'd love to see a movie or tv adaption of this one. 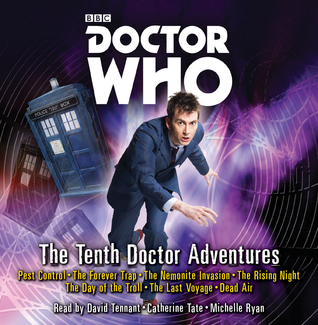 Doctor Who: The Tenth Doctor Adventures - This is a must listen for fans of Doctor Who, particularly David Tennant and Catherine Tate! They actually narrate most of the stories and really bring it to life! 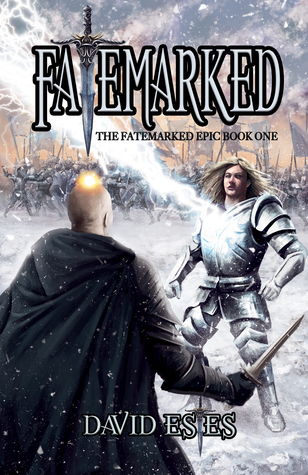 Fatemarked (The Fatemarked Epic #1) by David Estes - I really lucked out here! This author's first in a brand new epic fantasy series is wonderful and I has a little bit of everything for everybody. The Girl with Ghost Eyes (Xian Li-lin #1) - I was completely hooked! I NEED more of Li-lin, and more historical fantasies like this one! 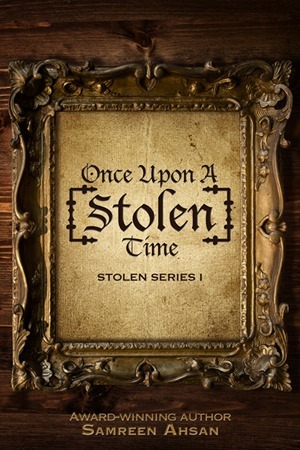 Once Upon a [Stolen] Time (Stolen #1) by Samreen Ahsan - I really tried with this book, but I only ended up giving this read for review "romantic" fantasy fairytale two stars. 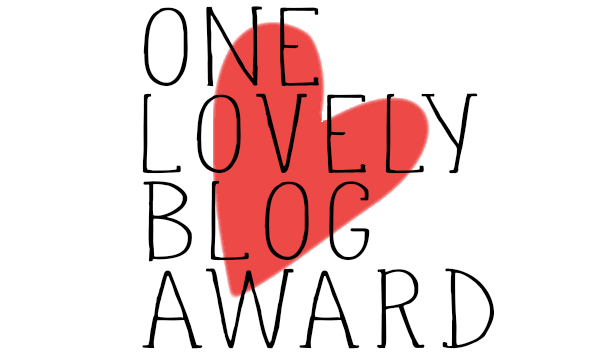 As always, thanks for visiting my blog and perhaps even commenting below. Have you read any of these books? Have you ever heard of Yours Truly, Johnny Dollar? I would be tickled if you've listened to that show before! Happy Friday everyone! I haven't heard of this book before, but the beginning and 56 caught my attention. Thanks for mentioning the book. Enjoy your current read. I haven't heard of any of these books, I didn't even know there were audiobooks for Doctor Who. Donna is my favorite companion, and Ten is my favorite Doctor. The Three Taps sounds like a clever and very interesting book. Haven't read any of these. Thanks for sharing. Dancing the Death Drill by Fred Khumalo. I'm hoping that's the case, Bev. This one sounds like a deep mystery. I love old books too. I'm so glad you had a great reading month! 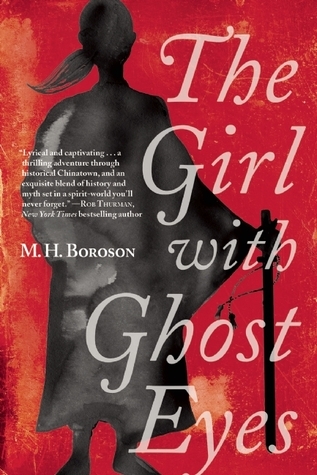 The Girl With the Ghost eyes looks so good and I've heard great things about it! Crossing my fingers I'll be able to read it this year :) Thanks for linking up, Lauren! Ooh I've never heard of this one! I'm hoping it'll be great! Three Taps is new to me. Hope you enjoy it. All these books sound awesome and I'm really excited to read Dark Matter! It was so awesome! I hope you like it! Thanks for sharing, Ronyell. how can it not have a moral, i wonder? The Three Taps sounds quite good. I have to check out old mysteries when I get a chance. 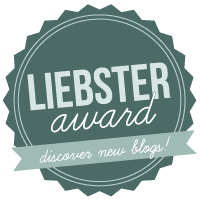 Thanks for sharing and stopping by my blog, Lauren. What a great detective story for your 56! Sounds like a book I'd like. Love that you are reading vintage mysteries. I like your choice of best and worst. 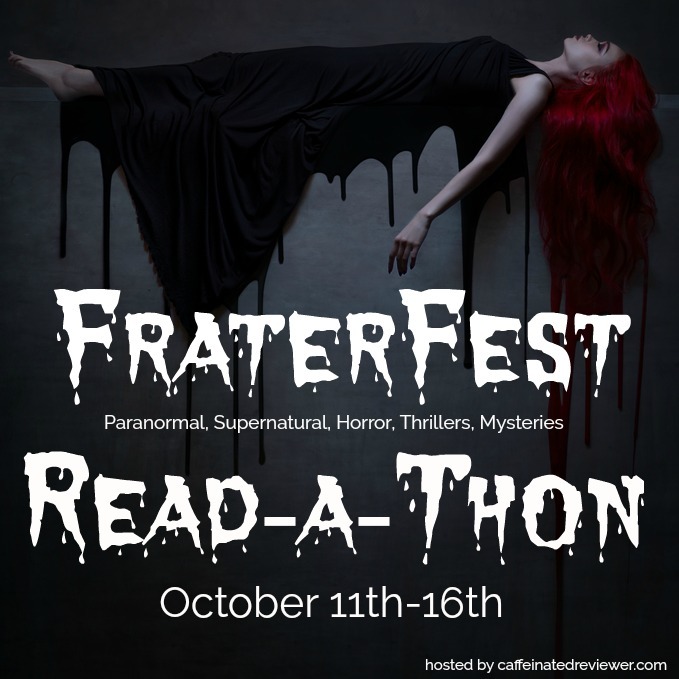 We have Dark Matter on our list for the Science Fiction book club at my local library. I have heard great things about it. Your featured book for the Friday Memes definitely has to be my favourite. 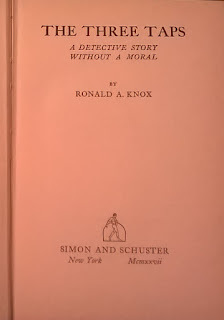 I am intrigued by the notion that this is "A Story Without Moral", written by a priest turned author, featuring the "Indescribable Insurance Company"
I would definitely keep reading and I am seriously contemplating adding the title to my ever growing TBR volcano, which is on the verge of exploding! A mystery from 1927, how interesting! I already love the little bit of dialogue you shared in your 56. Happy weekend, Lauren! Not sure this would be for me. Hope you love it though! Happy Sunday! What an interesting choice for your 56. I haven't read any of the vintage mysteries. I hope you are enjoying it.